Laparoscopic donor nephrectomy was first introduced by Ratner et al. in 1995 and has since evolved into the preferred approach for procuring kidneys from living donors. 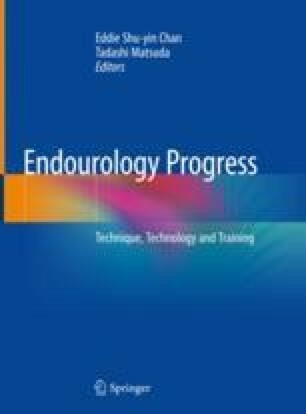 Since it was first reported, the technique has evolved and many modifications have been done to improve donor safety and recipient outcome showing superior results in terms of postoperative pain, cosmetics, convalescence, and return to normal daily activities. A multidisciplinary team evaluates/screens all donors physically and psychologically. As part of the preoperative workup, CT angiography is performed in order to accurately assess the donor’s genitourinary tract prior to donor nephrectomy. It will help identify vascular issues such as early prehilar branches or short renal vessels which may aid the urologist in deciding if the donor will be a suitable candidate for donation. Kidney size and vasculature will decide which side to harvest. Left sided laparoscopic kidney donation has been more preferable compared to right sided donation—due to the significantly greater length offered by the left renal vein. This facilitates an easier venous anastomosis in the recipient which potentially decreases recipient operative time and venous anastomotic complication rates, such as venous thrombosis. However, a minority of surgeons have reported that right sided laparoscopic donor nephrectomy is easier to perform because of the lack of side branches of the right renal vein and the decreased risk of splenic laceration. Both approaches are discussed within this chapter. Postoperative management and complications are discussed as well.